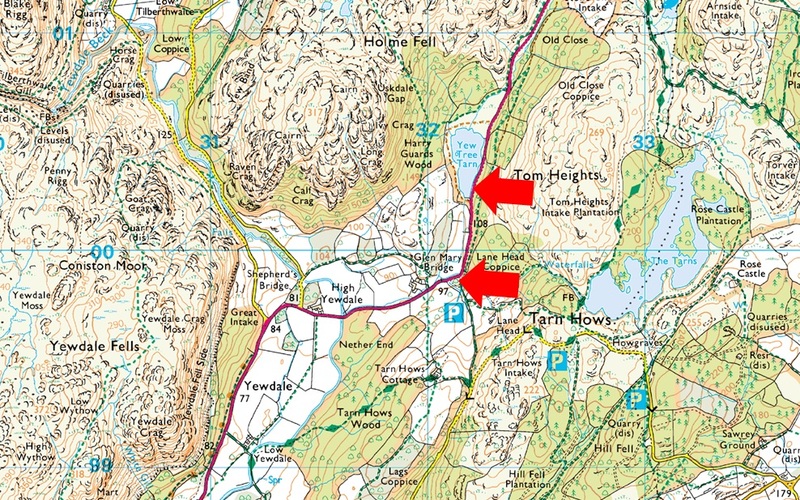 Notes: There are two places to park close to Yew Tree Tarn, the first is a layby on the A593 which is found along side Yew Tree Tarn were you will find room for around five well parked cars, my advise is to arrive early to secure yourself a spot. Parking here is free. Just a short distance south is the National Trust Car Park at Glen Mary Bridge where there is ample parking throughout the year, both car parks provide excellent access to Yew Tree Tarn, Tarn Hows, Black Crag and Holme Fell, parking is free for National Trust members but charges apply for non members.